This Sign Supply is Designed to Hold 30" Wide Banners! Buy Sign Supplies in Bulk Now! Sign Making Equipment Company Sells at Wholesale Prices! 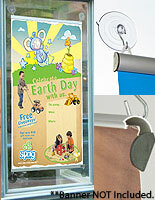 This patented sign supply tightly holds banners and posters. 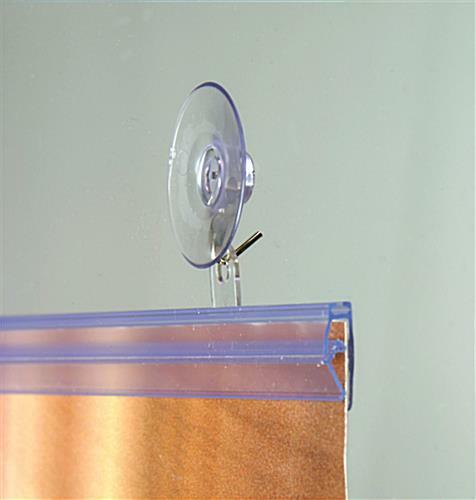 Transparent suction cups are barely visible as this sign supply hangs on any window or door. Create generic banners that can be used from year to year. 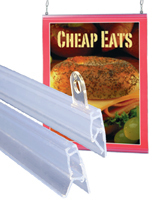 This sign supply consists of high quality plastic banner rails that will last through many uses. 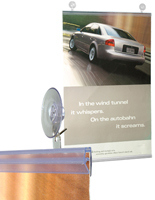 This sign making kit is an easy to use vinyl banner holder that promotes products and services right at your storefront. Entice customers into your store that are already shopping in the area! A larger number of companies are choosing this sign supply to present important information to customers. Using the provided suction cups, this sign supply can be attached to a front door where everyone will clearly see your message. This sign supply can even be hung from the ceiling. 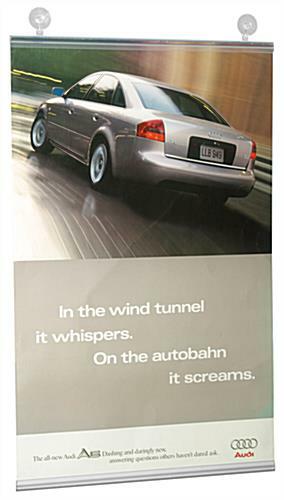 Buy sign supplies in bulk and create an array of advertising signs that will be noticed! This affordable sign making kit is an easy to use, inexpensive sign supply. Buy online now! This sign supply is shipped with suction cups and will hold a vinyl banner or poster no wider than 30". 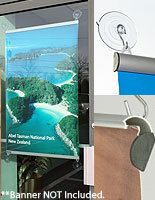 The poster rails snap open and closed for easy signage insertion and removal. This discount sign supply for sale in bulk or by the piece is a versatile poster holder that is the perfect addition to every marketing campaign. Top Rail with two(2) attached eyelet clips. The adjustable clips slide to where you need them. 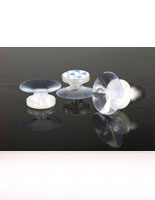 (2) 1 3/4" diameter suction cups with hooks. Bottom Rail that holds a poster or banner flat and taut.